Many of us delay starting an important task by deluding ourselves. We think we need a large block of uninterrupted time to make progress on important projects. 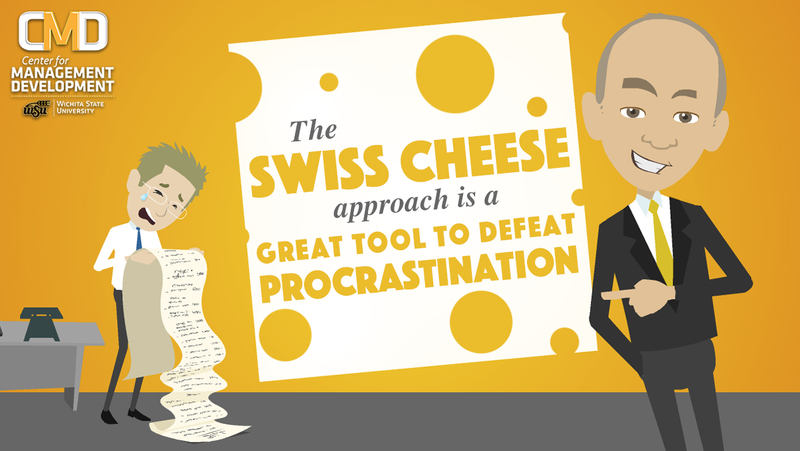 The result is procrastination! First, it should be related to an important project, not a routine task. Second, most of the sub tasks should take less than 10 minutes to complete. Third, leading tasks should be used. A quick example to illustrate this technique. Assume you are extremely busy when your boss alerts you the budget (important project) is due in 7 days. Later that day you have 8 minutes before a meeting. You take that time to copy last year’s budget. You just performed a ‘leading task’, you started! Below illustrates some sub tasks that might relate to further execution (less than 10 minutes each). As you can see, you are punching holes in this overwhelming task until it dawns on you, ‘two hours of focused efforts completes the budget’. Try this technique and you will find it increases your focus and aids in defeating procrastination. And to learn more tips and tricks for handling time and tasks, check out our class on Managing Time & Multiple Priorities!